"Your Full Service Lawn Care Specialists"
We have been with Premium Lawn several years and we have had great service winter, spring, summer and fall. Today was a hi-light when our yard was finished with the landscaping. It is just wonderful to see the nice changes with the rocks and plantings. It was also a neat job, no mess to let people know something had just been done. We want to express our appreciation for the completion of our project. Premium workmen are very courteous and hard working. my patio this fall. They were very helpful and knowledgable in helping me design it, and did a BEAUTIFUL job of executing it. I have wanted a patio for years, and am so happy with the results. It's gorgeous!!! At the beginning of spring, our lawn was a mess. My husband was seriously planning to rototill the entire yard and start over again. Fortunately, you persuaded him otherwise and your excellent care of our lawn has resulted in a lush, beautiful lawn. Thank you! We just wanted to thank you for making our lawn look so fantastic this year. Whatever you used on those treatments really worked. The lawn looks like a golf course compared to what it looked like last year. Not a weed in sight, and the grass is lush and green. Thanks for your expertise! I just wanted to express how please I am with your service. Your servicemen are so nice and helpful in explaining everything to me. If I'm not home, they leave detailed information on what I need to know. My yard is looking better each day. Thank you for all help and prompt service. I've already told all my friends and co-workers about you, and will continue to do so. 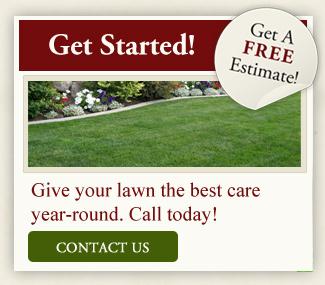 Premium Lawn has been doing our Fall cleanups for the past two years. There is nothing better than coming home after work, and bam! - the lawn is void of leaves, branches, and looks ready to be "tucked away" for winter. Always fast and professional, these guys rock! The job your guys have done was nothing short of terrific! You never cease to amaze me. You are the most professional company I know. Thanks a million! THANK YOU--THANK YOU--THANK YOU!!! When I got home today my lawn was done and it looks wonderful! You have taken very good care of me this year and I just wanted you to know how much I appreciate it. Thanks again!! © Copyright 2019 Premium Lawn Service. All rights reserved.